As planned, Felix Hernandez will come off the DL to start tonight for the Mariners, according to a club announcement. It’ll be King Felix’s first start for Seattle since July 31st. It’s been a tough year for the righty so far (this was his second stint on the disabled list for issues with his throwing shoulder), but he’ll have a chance to turn things around and keep the Mariners breathing in the AL Wild Card chase. Cardinals righty Adam Wainwright threw a bullpen session today, according to a tweet from MLB beat reporter Jenifer Langosch. At this point in the season, and with the Cards three games back in a battle for the NL Central pennant, it seems likely that the veteran will pitch out of the bullpen upon his return. Langosch also notes that reliever Seung-hwan Oh threw a bullpen session as well, while Jedd Gyorko and Dexter Fowler took practice on the field. Astros outfielder Jake Marisnick left Wednesday’s game with an apparent thumb injury after sliding into second base in the top of the third inning. Jake Kaplan of the Houston Chronicle offers some thoughts on the unfortunate situation for the AL West-leading Astros, noting that the recently-acquired Cameron Maybin and rookie Derek Fisher are likely to see increases in playing time. The organization hasn’t released details on the severity of the injury, but manager A.J. Hinch offered that, “It doesn’t look good.” For reference, significant thumb injuries — such as fractures or ligament tears — frequently require absences of at least six to eight weeks. More information will likely be available sometime after Marisnick undergoes tests in Houston today. 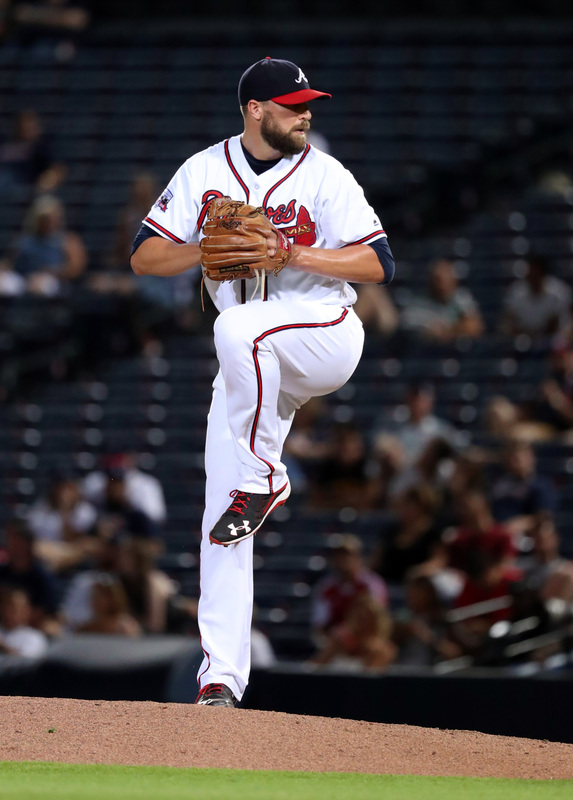 Veteran reliever Jim Johnson of the Atlanta Braves has been diagnosed with achilles tendinitis, David O’Brien of the Atlanta Journal-Constitution reports. He remained in Atlanta while the team traveled to Washington, and Braves manager Brian Snitker says he’s unlikely to pitch this weekend. Johnson is in the first year of a 2-year, $10MM deal with the Braves. It remains to be seen whether he’ll pitch again this season, but its certainly an unfortunate development for Johnson after losing the closer role to Arodys Vizcaino already this season. For Atlanta, the loss of Johnson thins out a bullpen that already has the fifth-highest ERA among all major league teams. The groups bidding on the Marlins have concerns over whether baseball will ever make it big in Miami, reports the Boston Globe’s Nick Cafardo, who adds that it’s possible the team needs a major Latin American star to market itself to a largely Hispanic population. With that in mind, it would make sense for the Marlins to pursue Orioles third baseman and Florida native Manny Machado if he were to hit free agency after the 2018 season, opines Cafardo. The club’s biggest star at the moment is right fielder Giancarlo Stanton, whose mammoth contract has been a burden in Jeffrey Loria’s attempt to sell the Marlins, according to Cafardo. Stanton is in Year 3 of a 13-year, $325MM deal and also has a full no-trade clause that the Los Angeles native would likely only waive to go to the West Coast, per Cafardo. There’s no indication that any West Coast teams are interested in acquiring the slugger, however. Royals left-hander Jason Vargas, in the midst of a career year at the age of 34, has seen his value skyrocket and is drawing “considerable interest” as a result, relays Cafardo. Vargas has been quite stingy through 60 1/3 innings, having logged a 2.39 ERA and a strong 3.20 FIP. He has also registered respectable strikeout and walk rates per nine innings (7.61 and 2.24, respectively), though he’s not exactly a high-velocity hurler and his 33.9 percent ground-ball rate sits well below the 44.4 percent league-average mark for starters. Vargas is on an $8MM salary this season as he concludes the four-year, $32MM contract he signed with Kansas City prior to the 2014 campaign. Although the first-place Twins have been one of the majors’ biggest surprises this year, teams expect them to make righty Ervin Santana available before the trade deadline, says Cafardo. Long a decent starter, Santana has turned in a front-line-caliber ERA this year (1.80) through 70 innings, but his strikeout and walk rates (6.43 and 3.47, respectively, per nine), unsustainable batting average on balls in play (.136) and sky-high strand rate (91.5 percent) suggest regression is around the corner. To Santana’s credit, his success has hardly been all luck – hitters have had major difficulty squaring him up, evidenced by a relatively paltry average exit velocity against (84.1 mph). Any team acquiring Santana would land a multiyear rotation piece, as he’s signed through next season at $13.5MM and carries a $14MM club option for 2019. The expectation is that the Padres will deal second baseman/third baseman Yangervis Solarte by the deadline, per Cafardo. Solarte’s name came up in trade rumors last winter on the heels of a career season (.286/.341/.467, 2.8 fWAR in 443 plate appearances), but he hasn’t helped his stock this year. So far in 2017, Solarte has slashed a meek .240/.330/.345 in 197 PAs. While it’s encouraging that his walk and strikeout rates match (10.2 percent), the 29-year-old has shown considerably less power than he did last season, with his ISO having dropped from .180 to .105. He’s quite affordable, though, with a $2.5MM salary this year and $4MM coming his way in 2018. Solarte also has a $5.5MM club option or a $750K buyout for 2019. The Marlins “are actively looking for a taker” for righty Tom Koehler, writes Cafardo. Koehler, whom the Marlins were going to send to the minors before he went on the disabled list May 19 with shoulder bursitis, has drawn interest from both the Dodgers and Red Sox. Los Angeles would use Koehler as a reliever if it were to acquire him, suggests Cafardo, which would be a change of pace for someone who registered 30-plus starts in each of the previous three seasons. Koehler was a fairly stable option over those 97 outings, combining for a 4.07 ERA, 7.08 K/9, 3.74 BB/9 and a 43.7 percent ground-ball rate, but has struggled mightily this season. Across eight starts and 38 1/3 innings, Koehler has pitched to a 7.08 ERA, with 7.26 K/9, 4.46 BB/9 and a 37.1 percent grounder rate. Koehler, 31 in June, is making $5.75MM and will be arbitration eligible for the last time over the winter. Teams in need of relief help are eyeing Braves closer Jim Johnson, according to Cafardo, who notes that some clubs are considering him as a setup man. The 33-year-old has plenty of experience in both roles and is amid his second straight productive season, having logged a 3.48 ERA, 9.58 K/9, 1.74 BB/9 and a 57.4 percent grounder mark in 20 2/3 innings. He’s making $4.5MM this year and is due another $4.5MM next season. TODAY: Johnson’s contract is worth $10MM in guaranteed money, The Associated Press reports. He will be paid $4.5MM in 2017 and 2018, with a $1MM signing bonus. The righty can earn up to $1.75MM in performance bonuses each season based on games finished. Johnson earns $250K for finishing 30 games, and then another $250K for hitting each of the 35, 40, 45, 50, 55 and 60-game thresholds. 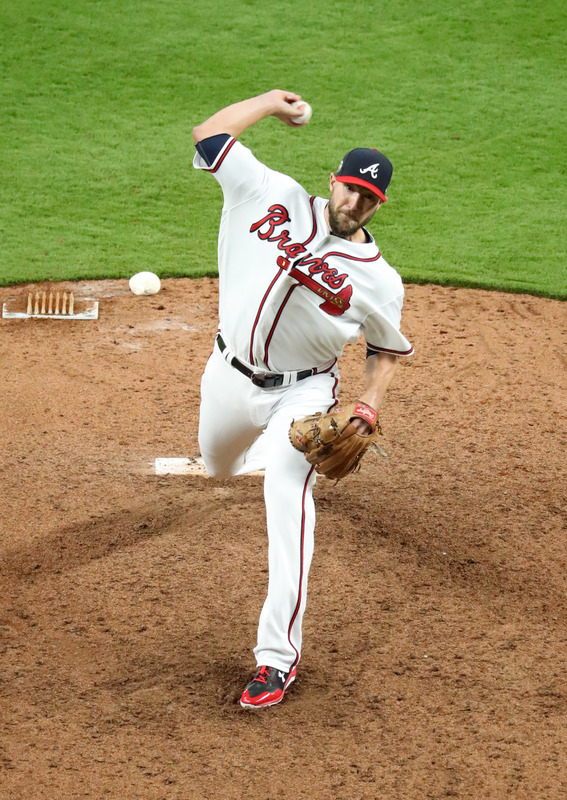 OCTOBER 2: Braves reliever Jim Johnson could have hit free agency during the offseason, but the 33-year-old will instead continue his career in Atlanta. He and the Braves have agreed to a two-year contract extension, according to a team announcement. Financial details are not yet available, but the deal will keep the Moye Sports Associates client under Atlanta’s control through the 2018 season. 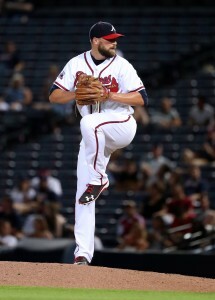 Johnson is amid his second stint as a Brave after signing a one-year, $2.5MM deal with the club last offseason. That ended up being a bargain for the rebuilding Braves, as Johnson has logged a 3.11 ERA, 9.33 K/9 and 2.83 BB/9 over 63 2/3 innings. Johnson has also kept up a career-long trend of inducing ground balls, having posted a 55 percent mark, and added 19 saves on 22 chances. Overall, 2016 has been a major bounce-back season for Johnson, who fared poorly with the Tigers, Athletics and Dodgers during the previous two campaigns. Despite his struggles elsewhere, Johnson has clearly found a home in Atlanta. Previously, he recorded a 2.25 ERA over 48 innings with the team in 2015 before it traded him to Los Angeles in July. Part of the reason for Johnson’s success with the Braves is his strong relationship with pitching coach Roger McDowell, per Mark Bowman of MLB.com (Twitter link). Going forward, the longtime Oriole – who has 153 career saves – said Sunday the plan is for him to remain as the Braves’ closer, according to David O’Brien of the Atlanta Journal-Constitution (via Twitter). That means Johnson will continue leading a bullpen cast that should include the likes of Ian Krol, Arodys Vizcaino and Mauricio Cabrera, among others, in 2017. It’s unknown how much interest Johnson would have garnered as a free agent, of course, but playoff contenders were zeroing in on him as a trade target over the summer. In fact, a deal nearly came to fruition in late July, and the Blue Jays, Mets and Rangers were among the clubs that eyed Johnson in advance of the Aug. 1 non-waiver trade deadline. An unidentified team also claimed Johnson on revocable waivers in August, but the Braves pulled him back after they and the other club weren’t able to agree on a trade. Now, after nearly joining his sixth major league team over the summer, he’s primed to stay in Atlanta for the next couple years.